Creatives and stylish folk alike, from Phoenix and beyond, descended on midtown Phoenix, leaving Sochu House brimming with dazzling people on the eve of the Heard Museum Guild Indian Fair & Market. All dressed to inspire as DJ Randy Boogie laid down an eclectic mix of music which kept the vibe fresh and upbeat. Beyond Buckskin Boutique owner Dr. Jessica Metcalfe curated a diverse selection of Boutique artists. Present were OXDX Clothing, Kevin Dakota Duncan of Painted Warrior Designs, Sun Rose Iron Shell and Notabove Jewelry. The brilliance of each artist’s work was the perfect addition to event filled with positive energy of the stylish Native-kind. 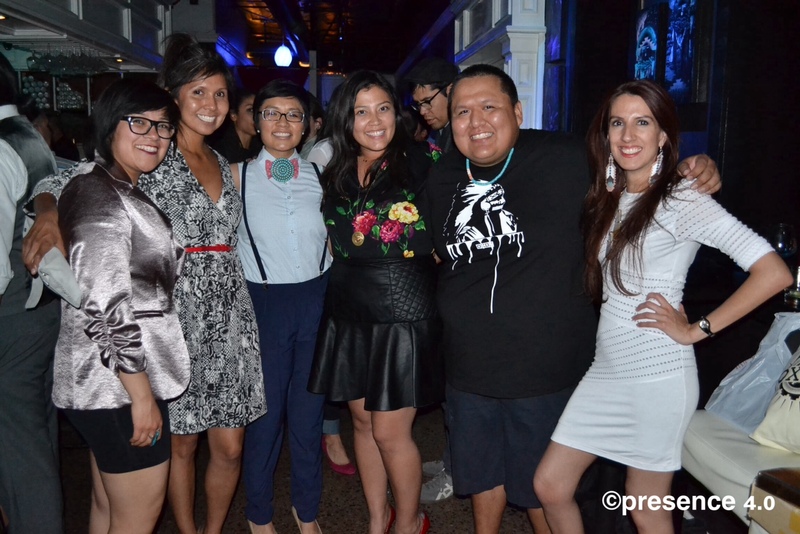 We P4 ladies have nothing but thanks to all who came out for the presence 4.0/Beyond Buckskin Boutique Style Mixer, the event was jammed with a who’s who from the American Indian art scene. For a venture started over coffee dates and conference calls, we were all walking our dream in the desert with a group of supporters whose affinity of Native style and creativity continues to move us forward.